My Thoughts: At first, I felt the story was a little slow. I have to admit that I skipped ahead to see what would happen (Nasty habit of mine!). Once that was done, and I knew how it ended I couldn't WAIT to see how the story got from point A to point B. There are pieces of Emmalyne's story that I think many can related to on some level. Emmalyne has a strong love of family. A desire to respect and follow traditions. But what happens when that desire to respect and follow goes against your heart? What happens when you are forced to give up the love of your life in order to return to a life of duty with your parents, where love from one member of your family is a ghost never seen. A strong piece of "The Quarryman's Bride" for me surrounded the story of depression. As someone who suffers myself, this plot point -which is often mishandled or completely left out of novels- was a welcome one. I felt it was handled well, and was an asset to the story, rather than a distraction from it. I would say there were even two different sides of it shown and two very different endings. The setting in Minnesota was great (my home state!) as was the story lines relating to the Unionization happening during that time. Can Emmalyne and Tavin's love overcome her sense of duty and obligation to traditions and the respect they both have for their parents? Will other forces step in and separate them again? 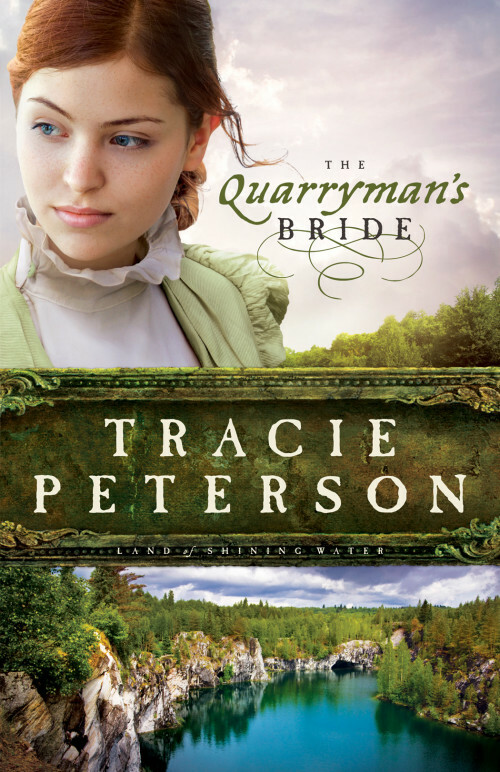 Will Emmalyne ever become the quarryman's bride? Would I Recommend This Book: Yes. I would recommend this book to anyone looking for a clean Christian historical romance with a hint of mystery to it. "The Quarryman's Bride" was a good story, with enjoyable secondary characters, good historical events/situations that are tied into the story, and a great setting. If you are also interested in seeing how an author can weave the story of depression in, than this may be a story for you.